What are the aims of Window Wanderland? 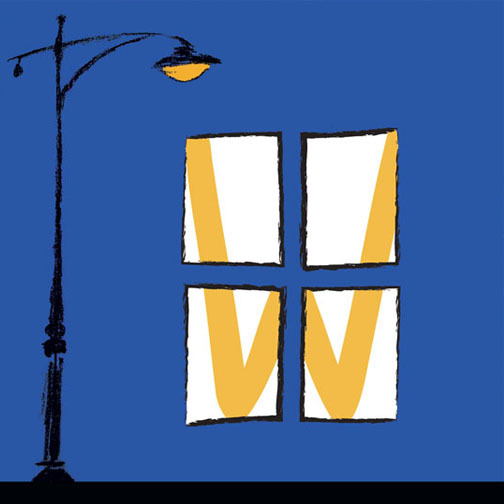 Window Wanderland is a fun, active, real, ‘non-screen’ grassroots event which lights up neighbourhoods with playfulness. It is all about sharing, by making displays, telling stories, big or small it can inspire others to have a go. The event provides a common festive focus for the neighbourhood, encouraging people to engage with their street and giving space for ‘hidden creativity’ to emerge. The displays from each event form online galleries which celebrate their diversity and showcase them to the wider Wanderland Community, leaving a very positive legacy. How did it start? Lucy Reeves Khan created Window Wanderland in 2015 out of her own experience; “I was stuck in the home for many years both as stay-at-home-mother (gorgeously frustrating) and because of chronic pain, (pretty grim). While doing short therapeutic evening walks around the block, in the dark as I didn’t want anyone to see how debilitated I was, I noticed that if the curtains were open in peoples houses, I didn’t feel the pain so much. I assumed I was just a nosy parker, but I think it just distracted me away from myself. Over the last year I have had conversations with people about how they feel, some feel sad when they see a happy scene in a window, I understand that envy, some just feel curious. The seed was sown for Window Wanderland and the idea is catching on, strengthening her belief in the power of people, of play, and that everyone has at least one creative bone in their body even if they can’t see it. Whatever your circumstances you can join in this event by either coming out of your home on the night or making a display in your own home. It is totally accessible, easy to take part in and a unique way to get to know your neighbours. Each neighbourhood makes their own, each wanderland will be different and by sharing these images to a wider community they can inspire others who might be reluctant to have a go. This is driven by freedom of expression, everyone has something to say, and everyone says something different. We welcome support, so please contact us if you would like to offer your skills. what a lovely idea – can’t wait to come down tomorrow and see the creativity in action. amazing to see so many people signed up!